Last year, Cebu City celebrated Foursquare Day with Bo’s Coffee. This year, we celebrate with GREENWICH, a popular pizza chain in the Philippines. While Foursquare Day is celebrated every April 16, we’re doing this on April 17, so that we can celebrate together with the other side of the world. After all, this is an American GLOBAL thing. 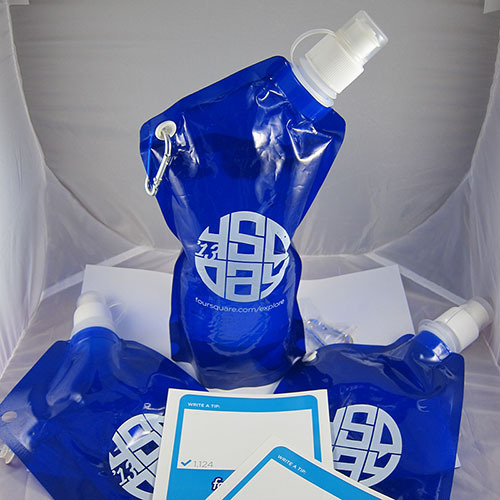 We will be handing out OFFICIAL 4sqDay2013 water bottles, thanks to Foursquare. We will also be giving out Foursquare tip stickers from last year’s Meetup. And if you’re feeling hungry, there’s also a slice of GREENWICH for the first 50 to check-in to their venue. What do you need to do to get one of these? Not a lot. 1. RSVP at our Meetup page. Immediate freebie reservation. 2. Like our Foursquare Cebu page. 3. Show up at Greenwich, Ayala Center Cebu on April 17 (Wed) 8-9PM. 4. Check-in at Greenwich’s Foursquare venue. NOTE: While the Meetup is on April 17 (Wed), the one-day-only Foursquare Day 2013 badge can only be unlocked on April 16 (Tue). So, make sure to check-in on April 16! 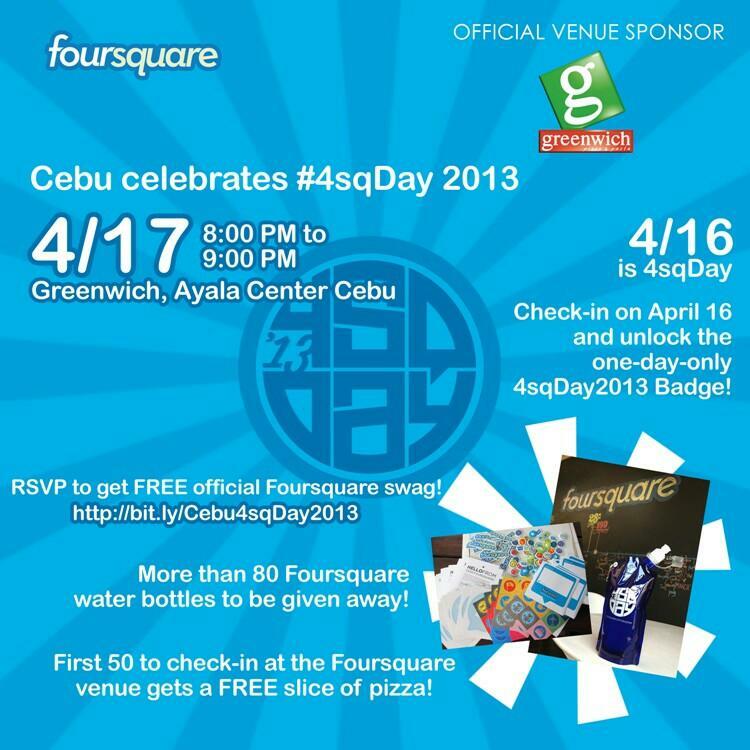 SPECIAL THANKS to Foursquare for the freebies, Greenwich for hosting the Cebu 4sqDay 2013, and to @karissayu and @jerminix for co-organizing this Meetup!